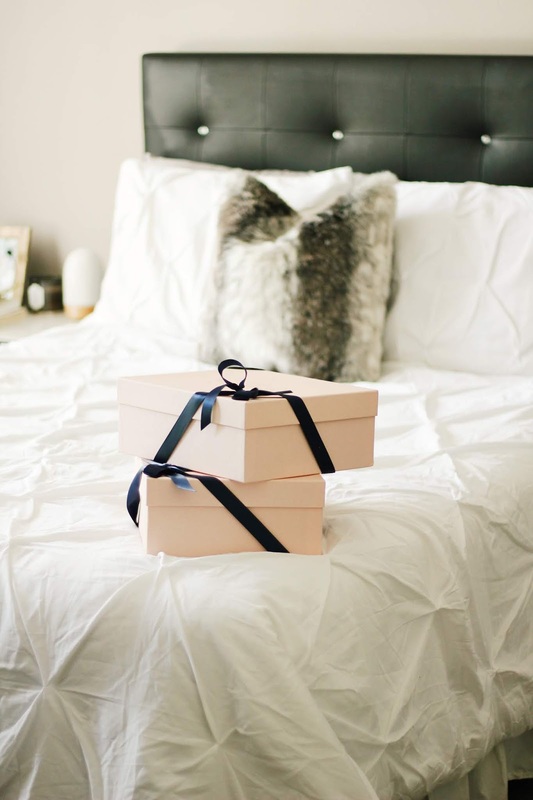 Finding the perfect gift is easy with the help of Luxe & Bloom! This adorable shop creates stunning gift boxes with high-quality products. Let your creativity run wild and create your own box design, or choose from any of the curated options on the site. 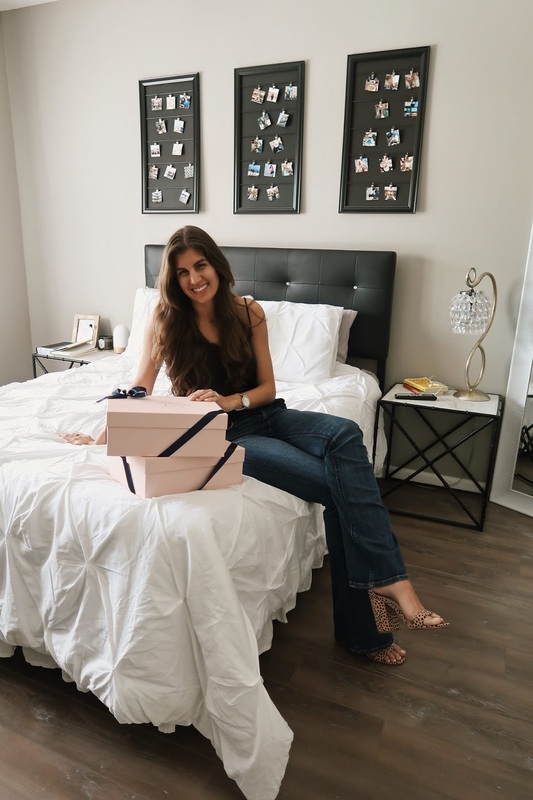 I recently worked with Luxe & Bloom to create two gift boxes as a thank-you to friends for all the help they've given me during my wedding planning process so far. I think these boxes would be such a cute idea for asking your bridesmaids, gifts for vendors or an adorable option for any other celebratory occasion. Designing your own box is super simple! 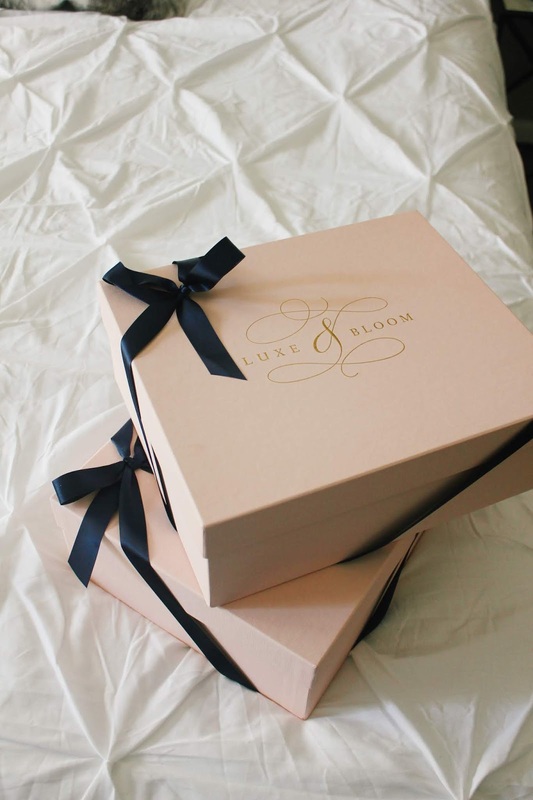 Luxe & Bloom offers two different box colors - navy and blush. As well as different sizes depending on how many/the size of the items going inside. I personally opted for the blush boxes, but love the navy for gifts for guys. They shop offers product selections for both him and her, so you can even create a box for a joint gift if desired! There are so many options to choose from! 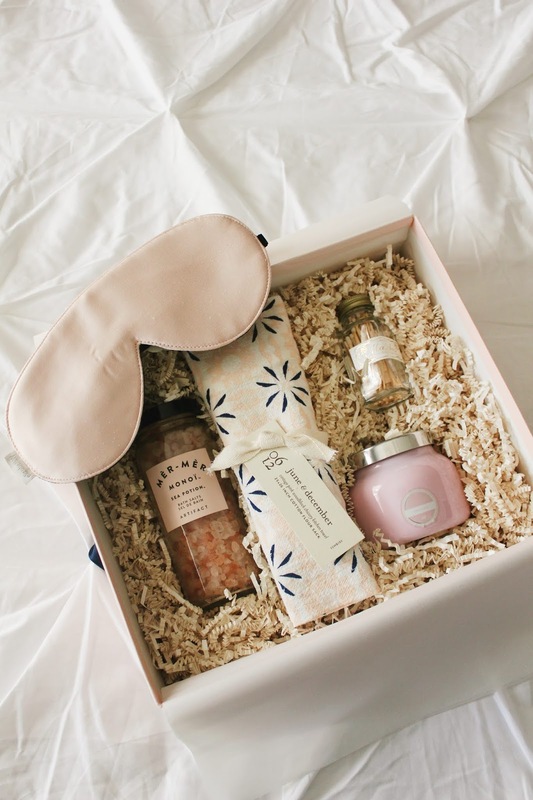 A few of my personal favorites were these bath salts, mini Volcano candles, luggage tag, notepad and a silk sleep mask. Prices of products to go in the box can vary depending on the brand and quality. Having trouble picking items? 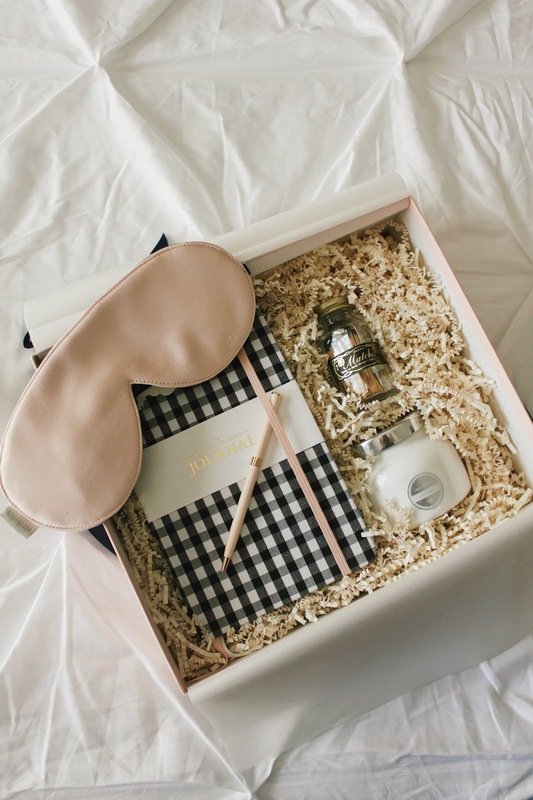 Take a peek at the curated boxes for ideas - I did this and it was super helpful! To top off your box, you can select from a variety of cards to include. I went with some beautiful thank you cards, but there's a design for every scenario. From holidays and weddings to birthdays, there's a card to help you convey the message along with your curated box. I'm seriously considering these boxes as thank you gifts for vendors, holiday gifts and newly engaged friends! Take it from me, the shop owner is the absolute sweetest and will work with you to make sure each box is picture-perfect. Thanks to Luxe & Bloom for providing these gift boxes. As always, all opinions are my own. Such a cute box! I'd love this!